Decorated with etched-style print portraying a steam locomotive. At 7 1/4 in. 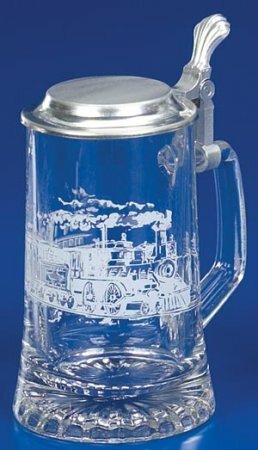 tall this glass railroad stein is sure to please any railroad buff.